Grilled pineapple is always delicious, but this honey and cinmamon glaze with olive oil makes it extra special. I love to serve it with chicken dishes and it also makes a refreshing summertime dessert with ice cream. For me, no other fruit says summer in quite the same way as pineapple does. There is a reason that a pina colada or other pineapple cocktails are a favorite with those on vacations. The fruit is light and bright and just perfect for the hot weather. The recipe is so easy. It takes just a few minutes to make the marinade and you can make it earlier in the day and let it sit in the fridge to develop the flavors. 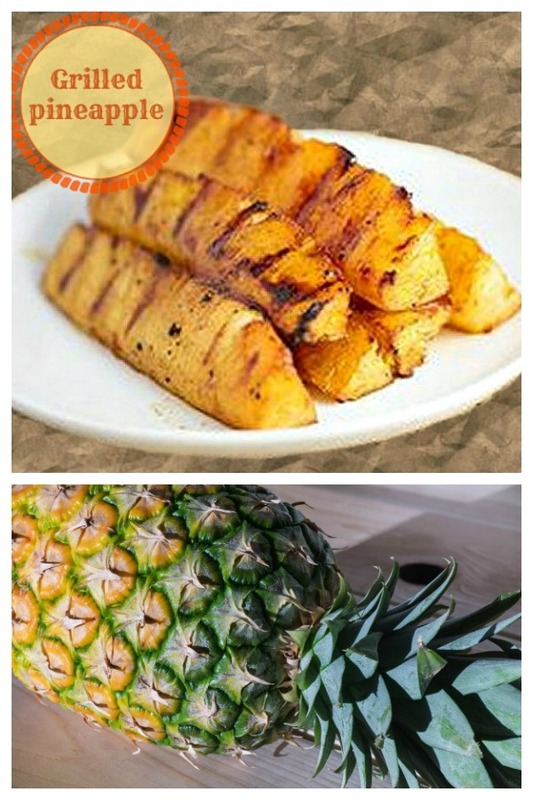 Just combine the ingredients and marinade the pineapple slices before it is time to barbecue them. Then grill until you get grill marks on all sides and serve. The dish can be made outdoors on a gas, or charcoal grill and also works well on an indoor grill pan. Fresh limes give the marinade a bright citrusy flavor and honey adds a lovely bit of extra sweetness. 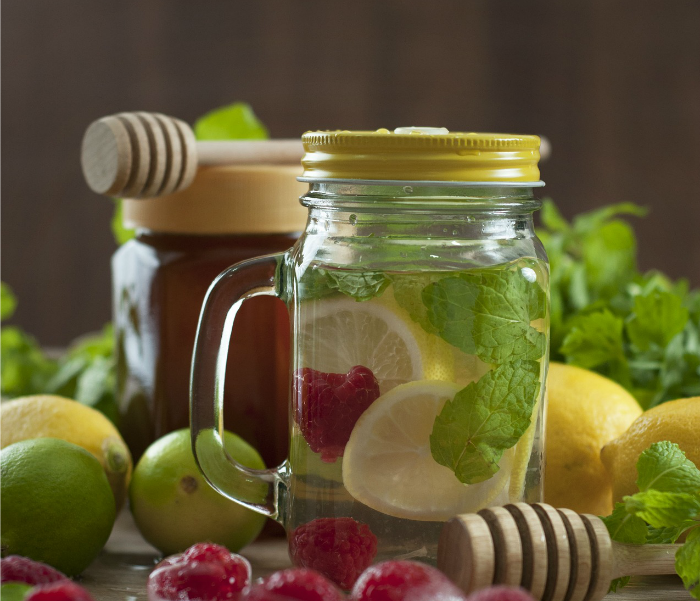 Why not use the limes and honey with some strawberries and mint to make some infused water to go along with the meal? 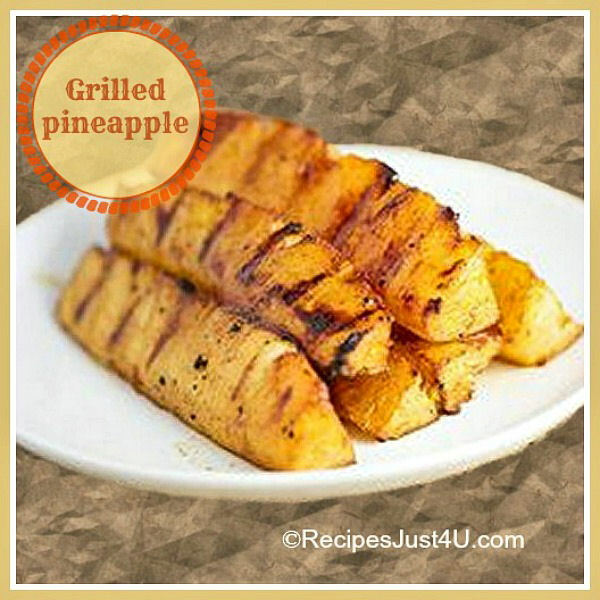 These grilled pineapple slices make a great side dish for any outdoor party and is also great when served indoors as well. We had this with my delicious Island chicken thighs tonight and it made a great combination. This recipe is gluten free and fits a paleo diet, as well. Each serving has 93 calories which makes it great for those watching their weight. A pineapple looks as though it is difficult to peel and core, but you can do it in just minutes if you follow these steps. Use your knife to run it down over the outside, taking thin peels off the outside of the pineapple. Use a smaller paring knife to remove the brown eyes to make it look nicer. 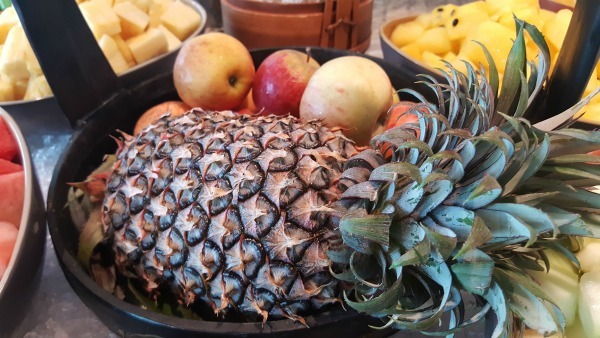 Turn the pineapple and stand it on the bottom edge of the fruit. Cut down through the center of the fruit with your knife and then again so that you have four quarters. Use the knife on an angle on each quarter to remove the core. Cut each quarter in half giving you 8 pieces to grill. 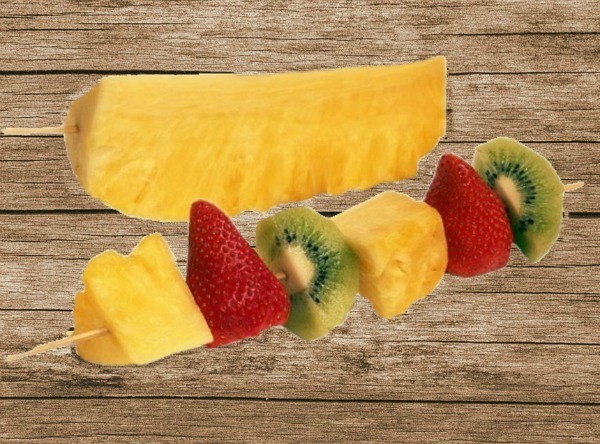 You can also continue cutting the pineapple into pieces to use in fruit salads or as kebabs. Admin note. This post first appeared on the blog in November of 2013. I have updated the post with more cooking tips, nutritional information and additional photos. What is your favorite way to use pineapples? Tell us about it in the comments below! Peel and core the pineapple and cut it into long strips about 1 inch thick. In a baking dish, mix together the olive oil, honey, lime juice, and cinnamon. Place the pineapple strips in the glaze and let marinate 2 hours, turning them occasionally. Prepare a charcoal grill (you can also cook it on a grill pan indoors on the stove top. Brush the pineapple strips lightly with the olive oil and place them on the grill. Cook for 6 to 8 minutes per side until cooked with nice grill marks. Remove to a serving plate and drizzle with honey.